Thank you so much for your email. I've been wanting to write back to you since I read it, but I thought I would take the time to ponder what you have said and mull over it before replying. I want you to know that I didn't take any of your words as an attack... actually the opposite! I told your dad how much I truly appreciate you, what you wrote, and your gracious brotherly spirit. That kind of attitude is exactly the kind of attitude brothers who disagree ought to have. I also love your heart for the gospel and for souls. Keep preaching the word of life, my brother! First off, I want you to know (as I think you already do) that I am decidedly persuaded of "Calvinism" and that I believe in the election/predestination of individuals unto salvation. I also agree with you that God does not make people sin but allows them to do that themselves. So I appreciate your comments against humanism and freewill, etc. Amen and amen: no one can come to Christ unless the Father Himself draws him. However, we must be aware that not all Calvinists are 5-point Calvinists, and to think in such categories is simplistic and theologically unhelpful. There has always been disagreement about limited atonement, and it is a far cry to say that 5-point Calvinism has gone unmolested since the days of the Reformation. The great reformer himself, Martin Luther, did not believe in limited atonement, though he believed in election, and it may be shocking for many 5-pointers to know, but John Calvin himself did not hold to limited atonement. Of course, that is contested because who wants to surrender Calvin? After examining the evidence for myself, I am convinced that there is no difficulty: classic Calvinism is 4-point, not 5-point, and to believe in unlimited atonement is to be more truly Calvinistic. I consider myself to be a classic Calvinist as opposed to the brand of Calvinism that evolved after John Calvin died. I strongly recommend you read this short online book by Paul Hartog on John Calvin's view of the extent of the atonement: A Word for the World: John Calvin on the Extent of the Atonement. Is written in a fully irenic and objective spirit and quotes Calvin extensively, as well as considers the arguments which limited atonement adherents put forth. Since the Reformation to the present day there is an impressive catalogue of men who have been classic Calvinists and who have stood against the doctrinal addition of limited atonement (just to give you an idea, John Newton and J.C Ryle are two of them). An outstanding website on this whole issue is http://www.calvinandcalvinism.com/ which is run by an extremely well-read librarian at Reformed Theological Seminary. It deserves serious attention. I'd like to share with you some exegetical thoughts of mine on this subject. I still stand firmly on my philosophical convictions expressed in the article regarding the love of God. What we say about the extent of the atonement is a direct statment about the character of God, and that's serious business. I believe that limited atonement casts a shadow on God's loving character and lowers Him into being a pragmatist. Sure He loves, but it is pragmatic love. His plan dictates His love rather than His love dictating His plan. I am convinced that limited atonement is a false doctrine and that 5-point Calvinism is not strong enough to stand against the kind of hard questions that are coming down the line in our 21st century about the character of God. I also stand by my conviction that the exegetical case for unlimited atonement is leaps and bounds greater than the case that can be made for limited atonement. I am well aware of the Scriptural case for limited atonement, but I believe the way Scripture is handled by limited atonement adherents is unwarranted, answerable, and in many places just downright eisegetical. There are no such gymnastics with unlimited atonement. Take, for example, the eisegetical explanations of 2 Peter 2:1, Hebrews 10:29 by limited atonement adherents. Further, the reinterpreting of the words "all" and "world" to mean "the elect" is a reinterpretation driven by systematic arguments, which arguments are easily refuted; and if those arguments are refuted, then there isn't any warrant for reinterpretation. This is one reason why a discussion of the extent of the atonement must primarily be engaged in the philosophical realm, because an appeal to such Scriptures are not easily going to persuade anyone until those philosophical arguments have been dealt with. Nonetheless, there are exegetical points that need to be made. "Love is too vague. It is love toward men; comp. Titus 3:2. Only here and Acts 28:2 : φιλανθρώπως kindly, Acts 27:3 (note). While it cannot be asserted that the heretical characteristics noted in the Pastoral Epistles point collectively to any specific form of error, it is true, nevertheless, that certain characteristics of the economy of grace are emphasized, which are directly opposed to Gnostic ideas. Thus the exhortation that supplications be made for all men, supported by the statement that God wills that all men should be saved and come to the knowledge of the truth (1 Timothy 2:1, 1 Timothy 2:4), is in the teeth of the Gnostic distinction between men of spirit and men of matter, and of the Gnostic principle that the knowledge (επίγνωσις) of truth was only for a limited, intellectual class. To the same effect is the frequent recurrence of all, for all, in connection with the saving and enlightening gifts of God (1 Timothy 2:6; 1 Timothy 4:10; 1 Timothy 6:13; Titus 2:11). So here: not only has the saving grace of God appeared unto all (Titus 2:11), but it has revealed itself as kindness and love to man as man." It is God's love for mankind (God's philanthropy!) that has appeared by the gospel. It is His grace that brings salvation that has appeared to "all men" (2:11), which "all men" is the same as in 3:2: "To speak evil of no man, to be no brawlers, but gentle, showing all meekness unto all men." Are we to think that Paul means only the elect here? How confusing would be his use of words! God loves mankind because God made mankind and they are special to Him. That love for mankind is expressed through the gospel. 1 Timothy 2:1-6 - "I exhort therefore, that, first of all, supplications, prayers, intercessions, and giving of thanks, be made for all men; For kings, and for all that are in authority; that we may lead a quiet and peaceable life in all godliness and honesty. For this is good and acceptable in the sight of God our Saviour; Who will have all men to be saved, and to come unto the knowledge of the truth. For there is one God, and one mediator between God and men, the man Christ Jesus; Who gave himself a ransom for all, to be testified in due time." Again, context determines that "all men" really means all men and not merely the elect (compare v. 1 and v. 5). Plus, Jesus is the mediator between God and man (as man) and not the elect. 1 Timothy 4:10 - "For therefore we both labour and suffer reproach, because we trust in the living God, who is the Saviour of all men, specially of those that believe." Think about it, M---. If Paul was a believer in limited atonement, why would he phrase it this way and cause such needless confusion? Why would he not just say: "Who is the Savior of all who believe"? Such a statement would be perfectly true and consistent. But the point is, Paul wanted to emphasize that Christ isn't just the Savior of those who believe, but He is the Savior of all men, even those who don't believe. If we rob this verse of this point then it really makes no point at all. "For God so loved the world, that He gave His only begotten Son for the world, that whosoever of the world that believes in Him should not perish, but have everlasting life." "For God so loved the elect, that He gave His only begotten Son for the elect, that whosoever of the elect that believes in Him should not perish, but have everlasting life." Whosoever of the elect? That doesn't make sense. The verse loses its sense and its precious force if we interpret it this way, and robs God of the glory of His love for mankind which is being spoken of in this beautiful verse. If limited atonement adherents had their way, this would only prove that God doesn't love all men, but is a God of pragmatic love - His love being dictated by His plan. I'll give just one more exegetical point, and one that I consider to be exceptionally formidable. Romans 3:25 - "Whom God set forth to be a propitiation, through faith, by his blood, to show his righteousness, because of the passing over of the sins done aforetime, in the forbearance of God." This verse contains an extremely important truth about the cross. Paul is telling us that one of the main things the cross did was that it vindicated God for certain confusing behavior that He had done in the past. The cross declared that God was righteous in doing that behavior. What did He do? He pretermitted sins. Pretermission means "omission", to "leave undone", as if an order were put onto your desk and you don't throw it away, you just don't do anything about it. The idea is that God pretermitted sins by not punishing them, even though His justice demanded they be punished, and this caused a lot of confusion in the Old Testament: "Why do the wicked go unpunished?" Even more, "Why do they prosper? Where's the justice of God?" These questions are answered by the cross. God was righteous in pretermitting sins, forbearing punishment, because He was operating with the knowledge of the death of Christ, which was the sacrifice for those sins. He delayed punishment in order for sinners to be saved. Romans 2:4 tells us why God forbears punishment (pretermits): "Or despisest thou the riches of His goodness and forbearance and longsuffering; not knowing that the goodness of God leadeth you to repentance?" So the point of God delaying punishment is that He wants the sinner to be saved, and this is possible because Christ died for the sinner, and therefore the sinner can be saved by Christ if he believes. The moment he believes, his sins, past, present and future are justly forgiven. This appeared confusing before the cross, but after Christ died it made sense why God could and would do that. Now here is the crucial question: Whose sins did God pretermit, the elect only or the non-elect too? In the past, and even today, God forbears to punish the sins of the elect and the non-elect, otherwise we would see that only the elect's sins are pretermitted and the non-elect are punished instantaneously, because only the elect would have the possibility for salvation since Christ only died for their sins. But this is clearly not the case. The non-elect as well as the elect have their sins pretermitted because Christ died for the sins of the non-elect as well as the elect, providing for the salvation of all men, thus enabling God to pretermit all, otherwise God would be unjust. God is patient with all men because salvation has been provided for all men, therefore God can withhold punishment with the intent of leading all men to repentance. Salvation would not be possible without the death of Christ ("without the shedding of blood there is no forgiveness"), and if salvation is impossible, then pretermission is impossible. The only reason God delays punishment is so that men can be saved, which necessitates the death of Christ for them. This is evidently true for the non-elect, otherwise, God is unjust to pretermit their sins, and is furthermore a cruel mocker toward them, giving them time to repent for a salvation that is not real. You see, when a person sins, they right then and there deserve damnation (see Jonathan Edward's excellent sermon, Sinners in the Hands of an Angry God). God delays punishment so that they may be saved by believing on Christ, because there is a possiblity for them to saved. Once a sinner believes on Christ, all their sins are justly forgiven, and God's pretermitting mercy toward them is shown to be just. Christ enables pretermission. This is one of the main things the cross declares, and vindicates the righteousness of God. If limited atonement were true (that Christ did not die for all men) then the cross does not vindicate God's behavior in His dealings with the majority of men, for He forbears to punish the non-elect. Therefore the doctrine of limited atonement makes God unjust. Since we know that God is just, limited atonement must be false. Christ did in fact die for the sins of all men, just as the Scriptures plainly teach, vindicating God's forbearance of all. I consider this a central argument that is irrefutable. M---, I know that there are many precious brothers who believe in limited atonement, many of whom I appreciate and respect. I agree with you that limited atonement adherents have often made powerful evangelists, but I believe this is not due to the doctrine of limited atonement but despite it, and is due, rather, to happy inconsistencies within these men's theologies. I stand by my conviction that the free offer of the gospel as portrayed in Scripture is entirely different than the so-called offer of salvation made by limited atonement adherents ("If you believe you will be saved..." rather than "God wants to save you! Believe! "; compare 2 Cor. 5:20). Such a gospel I want nothing to do with. If limited atonement were true, the gospel would only be good news after you believe it, but not before. Yet in the Bible it is the very good news of God's love for you in Christ that itself impels you to believe! Under the limited atonement system, men are left wondering whether they are elect, for election determines whether God loved them and gave Himself for them. Under true gospel preaching, men are pointed to God's love in Christ for them, and to believing in Christ for salvation. As it is in Scripture, it is only after a person has believed that they are made aware of their election from before the foundation of the world. And notice in Romans 8:29-30 that predestination doesn't have to do with whether Christ died for you or not, but it has to do with effectual calling. This is the single greatest error of Calvinists - they misunderstand the issue of election. God does not elect to determine whom Christ dies for, but to determine who will believe in Christ (read carefully John 1:11-13, 6:44-45, 65, Acts 13:48, Romans 9:11, 23-24, 11:4-5, Galatians 1:15, Ephesians 1:5, Philippians 1:5-6, 2 Thessalonians 2:13, 2 Timothy 1:9, James 1:18, 1 Peter 1:2). This is the true doctrine of election that Calvin understood. "Here it is appropriate to reply to the repeated assertion that Christ's propitiation actually, and not just potentially, propitiates, and that so His reconciliation reconciles, His redemption redeems, and His atonement atones. 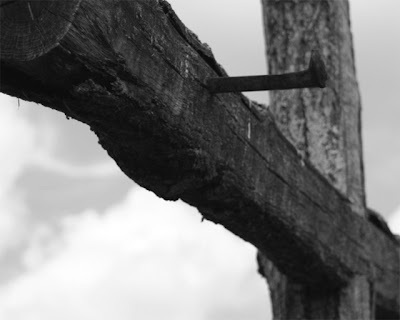 John Murray says the death of Christ is to be considered as "effective" propitiation, reconciliation and redemption, and that "the atonement is efficacious substitution." It is pertinent to inquire why the author entitles his book "Redemption Accomplished and Applied" if redemption accomplished is redemption applied? We maintain as strongly as he that Christ's propitiation propitiates, His reconciliation reconciles, His redemption redeems, and His atonement atones so far as its own intrinsic efficacy is concerned, but not with reference to any sinner, unless he repents and believes. Without these acts, even the elect are only potentially the recipients of these benefts. "Do not Limited Atonement men themselves summon sinners to enter into the good of Christ's propitiation through faith (Rom. 3:25), beseech them to be reconciled to God (2 Cor. 5:20), call upon them to come under the atoning blood? Now what does all this amount to but seeking to bring men into the place where Christ's propitiation, reconciliation, redemption and atonement, completely efficacious in themselves, become completely effective for them? So you see, M---, how the limited atonement argument, that "the cross actually saves", is really just mere rhetoric. Who believes that a man is saved by the death of Christ apart from faith? Only those on the fringe who hold to the erroneous view of eternal justification. Lots to think about, right? Having said all this, I believe the real issue that is at stake is not the mere exegetical case for the extent of the atonement, but the issue of the character of God, for what we say about this doctrine is a direct statement about who God is. Before sovereignty, before election, before the eternal decrees, God is love. It is this true knowledge of God that Jesus Christ came to reveal, and by seeing Jesus we see the Father. But Christ did not come to show us that God was sovereign, or holy, or one - these are true, and certainly Christ doesn't alter them, but these we knew or could learn elsewhere. No, the thing that Christ tells us about God is that God is love: God so loved the world, that He gave His only begotten Son, that whosoever believes in Him should not perish but have everlasting life. No one has seen God at any time; the only begotten Son which is in the bosom of the Father, He has declared Him. And the Word was made flesh and dwelt among us, and we beheld His glory, the glory of the only begotten of the Father, full of grace and truth. I hope this gives you some food for thought and that we can keep up the dialogue, since there's so much more to discuss. Feel free to write back. Again, I really appreciate your email and your kindness in this matter. Does God Exist? Who Is God?